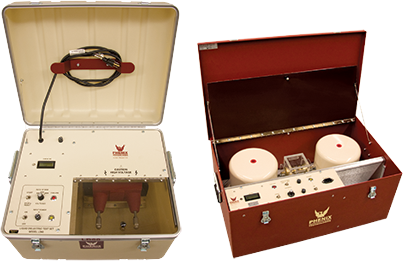 Phenix Technologies offers an economical line of Liquid/Oil Dielectric Test Sets designed to test and measure the breakdown voltage of insulation fluids used in transformers, capacitors, bushings and related high voltage equipment. 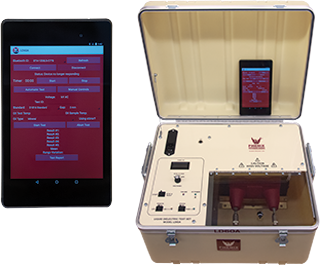 With the appropriate oil vessel test cell, these test sets are designed to perform tests in accordance with standards ASTM D1816, ASTM D877, IEC 60156, BS 148, VDE 0370.
control operation using Bluetooth technology. 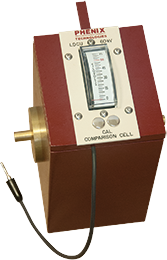 As an External Voltmeter, the LDCU is used before testing oil or as a periodic standard to verify the voltmeter operation of the LD test set.